With his loving family by his side, Frank Johnston passed away at his home in Perth-Andover, NB on March 22, 2019. Frank was born in Lake Edward, NB, on July 12, 1938. He was the son of the late Ivan and Eugenia (Paris) Johnston. Frank leaves behind his loving wife of 61 years, Mary Johnston (DeMerchant); his two sons, Wayne Johnston (Annette) and Robert Johnston (Ruby); his five grandchildren, Nicole Johnston (Dylan), Tasha Lynn Finnamore (Randall), Danielle Johnson (Isaac), Char-Marie Lloyd (Matthew), and Christine Fox (Ryan); his seven siblings, Roy Johnston (Frances), Martha Lennon (Byron), Irvine Johnston, Hazen Johnston (Laura), Harold Johnston (Barbara), Valerie Gee (Floyd), and Forrest Johnston (Claudette). he is also survived by several great grandchildren, nieces and nephews. Frank was predeceased by his parents; his daughter-in-law, Laurie Johnston; granddaughter, Bobbi-Jo; and great granddaughter Alena. Frank and Mary lived in the United States for 12 years, returning to Perth-Andover to start his garage which he operated for 42 years. Frank could be found many nights out with the tow truck hauling some unfortunate driver back on the road. 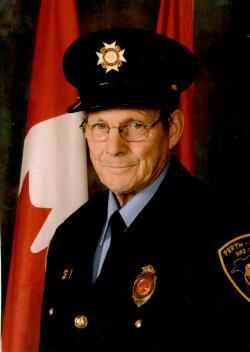 Other nights, he could be found at the fire department where he was a member for 40 years. in later years, they spent winter for 10 years in Florida. Frank was also a member of the Royal Canadian Legion. Frank loved to laugh and have fun. He loved music and loved to dance. If you dropped in to the Legion on dance night, you would find him and Mary gliding across the floor to the Old Fashion Waltz. He also loved to have friends in to play a game of cards and many fun filled evenings were spent around the kitchen table with them. Frank was a well known member of the community and will be greatly missed. He will be remembered for always being ready and willing to help others no matter what time of day or night. The Johnston Family would like to thank Dr. David Bell and the Extramural nurses for their loving care of Frank and their support for the family. Respecting Frank's wishes, there will be no visitation or funeral held. However, as always, the door is open to everyone wishing to visit the family at this sad time. For those who wish, memorial donations to the Upper River Valley Cancer Society, the NB Extramural Program, or to Victoria Quilt Canada (613-843-9219) would be appreciated by the family.